Unlike traditional off-roading, where you stick to a home base with support, overlanding is all about the journey to a new destination. 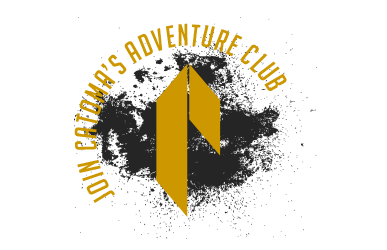 It’s self-reliant adventure travel, requiring you to gain new skill sets as a driver, mechanic, and organizer. You get off the grid and see beautiful parts of the country that are otherwise inaccessible. Maybe that’s why the sport of overlanding continues to increase in popularity across the country, as more and more outdoor enthusiasts use their 4WD vehicles to escape the everyday, see new parts of the country, and push their own limits. While overlanding is more prominent in the Western states, the Southeast is gaining ground with its millions of acres of public land segmented by rough, rutted-out roads that are fun to navigate. Here’s everything you need to know about what to bring and where to go on your next overlanding trip in the Southeast U.S. Even though you already have an off-road vehicle, you’ll still need to add some key pieces of gear to travel over rough roads and be self-sufficient in just about any condition. Bring a high-lift jack in order to change a tire, plus some auxiliary attachments to help lift various parts of your truck out of the muck. Bringing along a recovery strap and shackles rated above your vehicle weight is a good idea and if you have a winch, that’s even better. Plastic sand tracks also work well to help get you out of messy conditions. They take up some space, but you can usually strap them to the outside of your vehicle. Throw in a full-sized shovel in case you need to dig yourself out of a jam. For mechanical issues, make sure you have a standard toolkit with socket wrenches and the rest of the basics. Don’t forget a good hammer, which is sometimes needed to pound something back in place or push out a dent. Especially for longer trips, bring back-ups for belts and hoses. They’re cheap, and you’ll be glad to have them if needed. Bring a tire deflator/pump to adjust your tire pressure depending on the surface, and having a full-sized spare is always a good idea, along with a can of Fix-a-Flat style for small leaks. For communication, a two-way radio is helpful as cell service is usually spotty when you’re in the middle of nowhere. The Chattahoochee National Forest is filled with options for those who want to give overlanding a try. Now that your gear is set, lay out your map and chart a course. Half the fun in overlanding is pouring over old-fashioned paper maps to learn the topography of the land and find the remote places that you want to go. But the digital age has provided productive resources as well, and apps such as the Gaia GPS, offering 4×4 off-road maps in layers with the help of government departments like the U.S. Forest Service and the U.S. Geological Survey. You can chart waypoints at home, download the route and region, and use the app without cell service to stay on track. Make sure you always let someone at home know your plan, just in case you run into trouble. After arriving at your destination or making camp along the way, don’t be afraid to pull out all the stops. Bringing your vehicle means having plenty of room for coolers, a propane camp stoves, and camp furniture. Get a sturdy tent, such as the Catoma Eagle or Raven, which are have plenty of space for adults, will stand up to harsh conditions, and are easy to put together. The Catoma Gopher Tarp System is another handy option for setting up shady areas. Bring your fishing poles, mountain bikes, and any other equipment and settle in for a wonderful weekend (or longer!) in the wilderness. 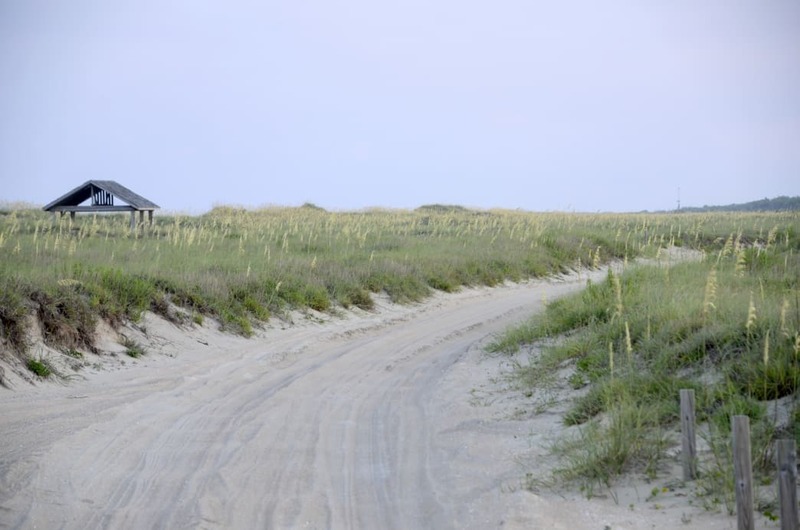 At the Cape Lookout National Seashore, you can ride your vehicle on remote beaches. Here are some areas that make our must-visit list for the Southern overlander. While many people in the Southeast drive past the Georgia mountains for Tennessee and North Carolina, the Peach State offers hundreds of thousands of acres of land with different levels of difficulty for off-road adventures. Consult the Chattahoochee-Oconee National Forest OHV page for more info on trails. 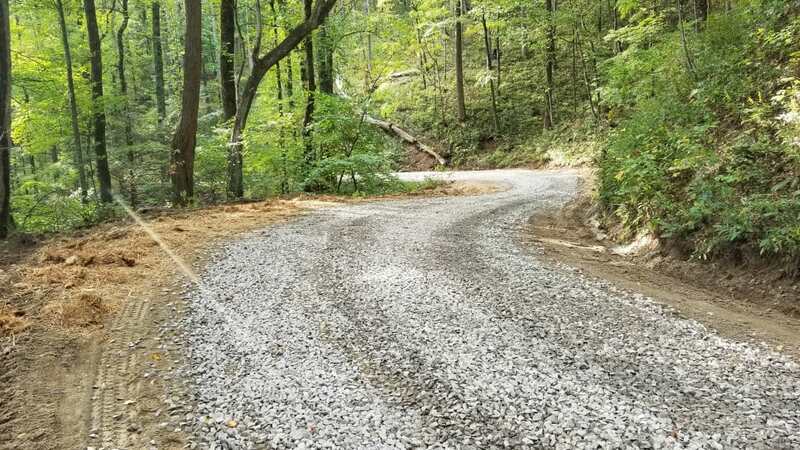 Some areas are more mud than gravel, so be sure to check ahead of time before heading out after a heavy rain, as some trails might be closed to prevent damage. Pisgah is the cure-all for any adventuring need that you have. With world-class trout fishing, mountain biking, and climbing situated around some of the best breweries in the country, Pisgah is the answer when you need to get away from it all. Pisgah’s roads see a lot of heavy traffic near popular areas, but they gradually become less maintained and more unruly as you head deeper into the mountains. Don’t take a trip here lightly. While it’s easy to find gravel and dirt roads up in the mountains, few folks in the South know of this adventure on North Carolina’s coast. After taking a three-mile ferry ride with your rig, you’ll arrive at remote beaches where it’s up to you to have all your water and supplies. The remote islands make up about 50 miles of beach that you can drive on and explore. Take a few surf-fishing rods and catch yourself some dinner while the wild horses run on the dunes behind you. These are really just a few highlights—the possibilities in the Southeast are endless! Overlanding might be new to the region, but with so many options, expect it to become a popular activity very soon. Written by Charlie Morgan for RootsRated Media in partnership with Catoma.